It's an epic corporate showdown. Hedge fund manager and activist investor Bill Ackman versus vitamin and nutritional supplements company Herbalife (HLF). While it's too early to say who will win this battle, the stakes couldn't be much higher. Ackman, who runs the $11 billion hedge fund Pershing Square, has called Herbalife a pyramid scheme and publicly said that he's betting $1 billion that its stock will fall to zero. If Ackman is right, Herbalife, a company that reports roughly $4 billion in annual sales and a network of 3.2 million salespeople in 87 countries, could be shut down by the Federal Trade Commission. The Federal Trade Commission calls pyramid schemes illegal and says they prey on consumers. With more than $1 billion on the line, Ackman stands to make billions in profits too. If he's wrong, Ackman will not only lose money. An erroneous short call could tarnish his credibility as an activist investor. He's already proven that he can force corporate boards -- including those at the railroad company Canadian Pacific (CP) and retailer J C Penney Company Inc (JCP) -- to make the changes he seeks. But the FTC and other federal agencies may not be as willing to listen. Here are five questions investors and consumers may have about Herbalife. Herbalife sells weight loss products and nutritional supplements and big, bold promises. On its website, Herbalife says its "cutting-edge science" can help people lose unwanted pounds with shakes and snacks. The company also says that its full-time and part-time salespeople or distributors can work from wherever they want, and "earn what they're worth." Herbalife is what is known as a multi-level marketing company. Salespeople make money by selling Herbalife's weight loss products and by recruiting new members and taking a portion of each of their sales. This is a business model employed by companies such as Avon (AVP) and cosmetics maker NU Skin Enterprises (NUS). So is it a pyramid scheme, a Ponzi scheme or a cult? Herbalife answers "no" to all three questions on the "frequently asked questions" section of its website. Why is Ackman targeting Herbalife? 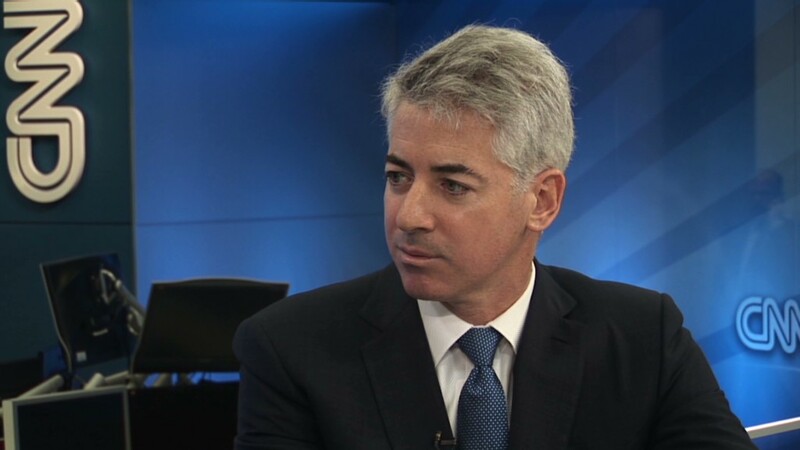 Ackman says Herbalife is an "inherently fraudulent company." "We don't believe there is any demand for the product by true retail consumers at the suggested retail price," Ackman told CNNMoney in an interview Monday. "Herbalife sells products," Ackman said. "But what they really sell and what their distributors make money from is by selling a business opportunity, and the business opportunity is to sell the business opportunity to your friends, who in turn sell it to their friends." Ackman first outlined his case against Herbalife during a three and a half hour presentation to investors last month. He says the company's stock will "go to zero." Ackman has also promised to donate all of his personal profits from shorting the stock to charity. What is the legal definition of a pyramid scheme? The FTC says a multi-level marketing company is a pyramid scheme if salespeople earn the majority of their income by recruiting new salespeople rather than selling products. The FTC added that it could be a pyramid scheme if "a substantial percentage of participants lose money." An FTC spokesperson declined to comment on whether it is currently investigating Herbalife and said the agency only makes public announcements when it decides to take enforcement actions. Herbalife's executives say they'll rebut Ackman's claims this Thursday at an analyst conference in New York. The company hired investment bank Moelis & Co. and litigation firm Boies, Schiller & Flexner, famous for representing Al Gore during the Florida presidential vote recount in 2000 and helping the U.S. Justice Department win its antitrust suit against Microsoft (MSFT). The company has pushed back against Ackman. "This appears to be yet another attempt to illegally manipulate the market by overzealous short-sellers," the company said in a release in late December after Ackman announced he was betting against the stock. Ackman told CNNMoney that he won't attend Herbalife's presentation because he'll be traveling in Asia. He said some of his employees are trying to get into the presentation, but it's by invitation only. What do other investors think about Herbalife? Herbalife's stock dropped roughly 35% immediately after Ackman raised questions in late December. But shares have roared back recently. Since Herbalife announced that it hired an investment bank and law firm, the stock has gained more than 35%. Shares are now down just 14% below where they were when Ackman outlined his bet against the company. Some other notable hedge fund managers, including Bronte Capital's John Hempton and Robert Chapman of Chapman Capital, have said they're buying Herbalife's stock. Both hedge fund managers say they don't expect the FTC to take action against the company. And so far, Ackman doesn't have too many others following his lead. He has made the biggest bet against Herbalife by borrowing 20 million shares to short them. That's roughly 82% of the company's 24.4 million shares currently on loan to short sellers, according to Markit's most recent data.